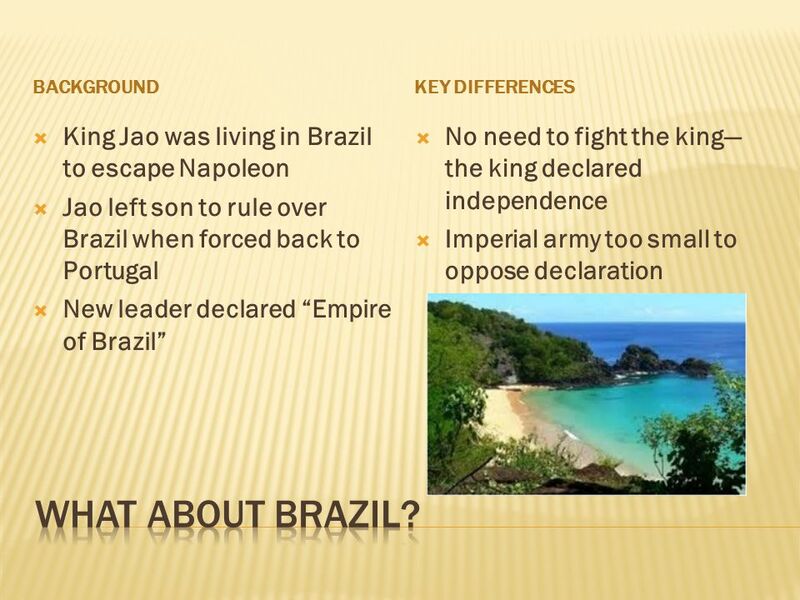 2  What was the context in which independence was gained?  What events and ideas influenced the revolutions?  Who was and who was not involved? To what extent were they involved? 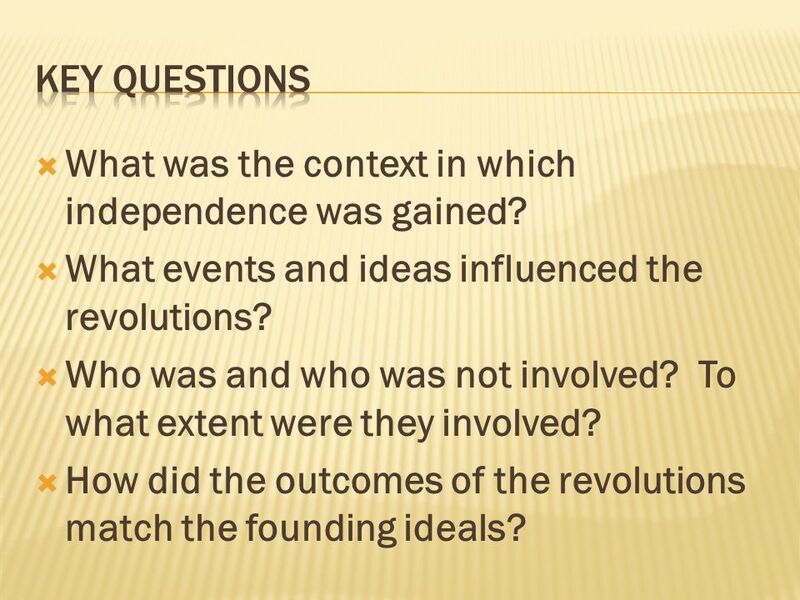  How did the outcomes of the revolutions match the founding ideals? 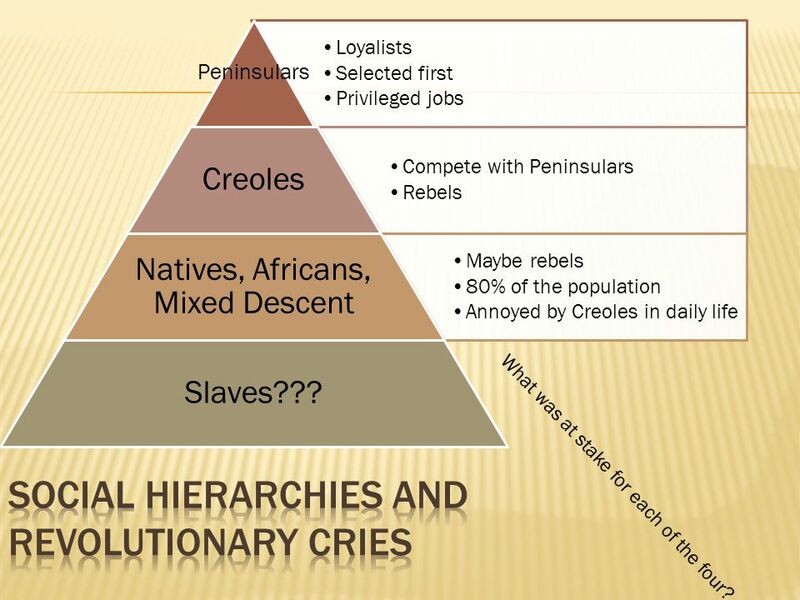 6 Loyalists Selected first Privileged jobs Peninsulars Compete with Peninsulars Rebels Creoles Maybe rebels 80% of the population Annoyed by Creoles in daily life Natives, Africans, Mixed Descent Slaves??? What was at stake for each of the four? 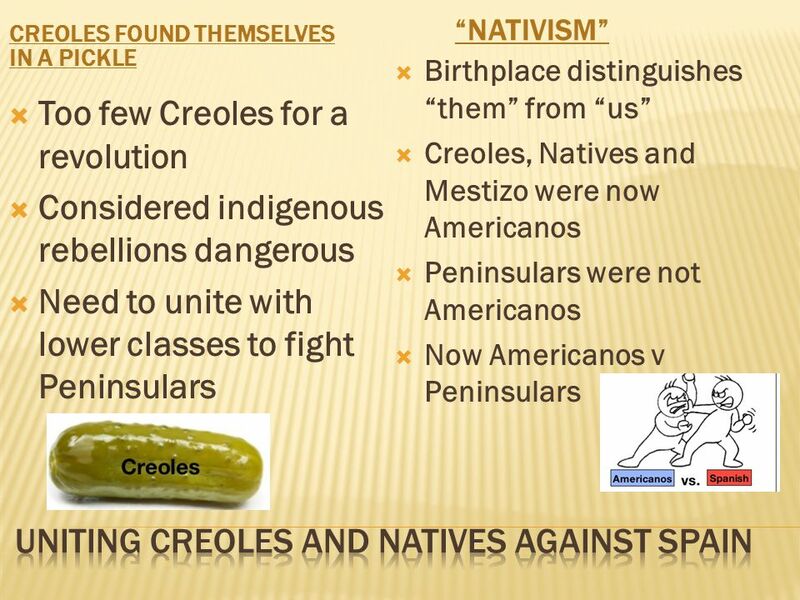 7 Mexico  Hidalgo inspires peasants, but “too indigenous for the Creoles  Father Morelos, a mestizo, energies creoles and lower classes Peru  Tupac Amaru II’s revolt of 1780s scare away creoles from uniting natives Venezuela + Argentine  Both had active creole movements against Spain  Movements helped by experienced horsemen !Viva la revolucion! 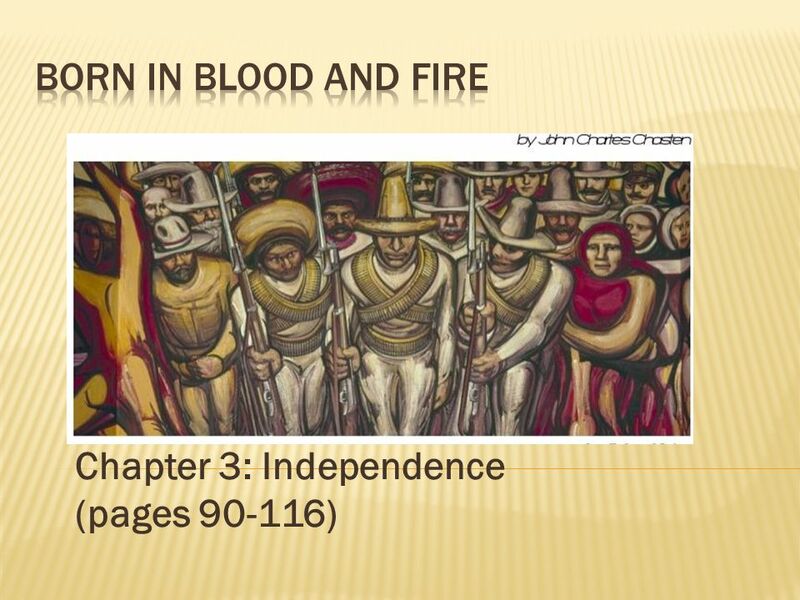 Download ppt "Chapter 3: Independence (pages 90-116). 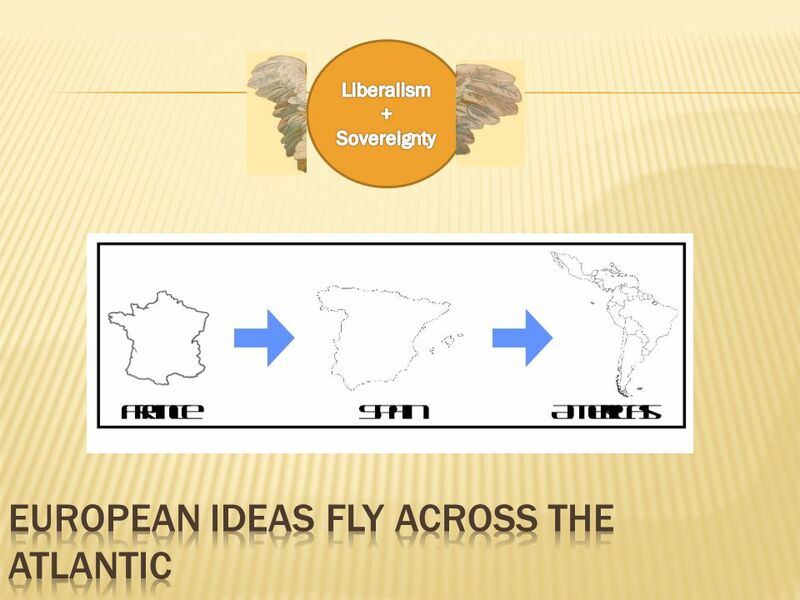  What was the context in which independence was gained?  What events and ideas influenced the revolutions? "
Chapter 20 Unit 3 Jordyn Brown, Karen Tran, Naja Watkins, Kelli Omerbashi, Josh Soleim, Bryant Carter, Wesley Cook, Ethan Robison, Lane Wiliams & Sarah. 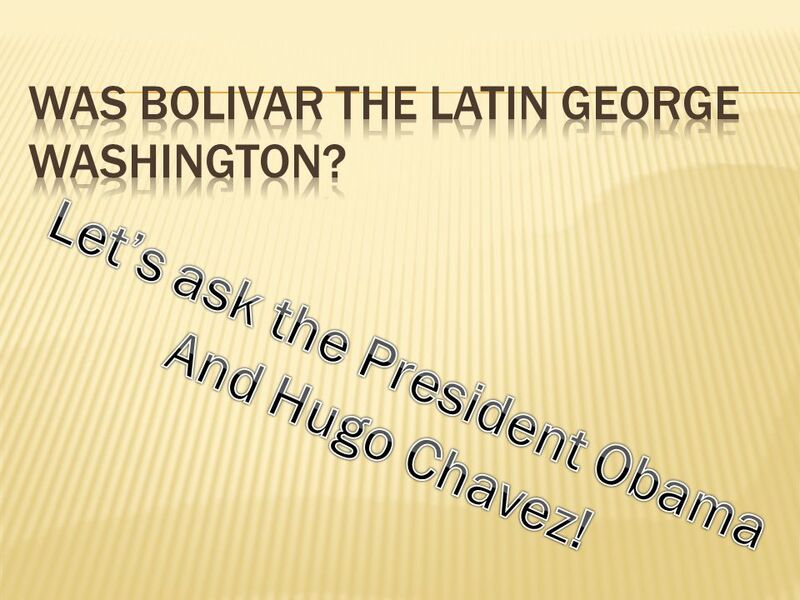 Latin American Revolution. 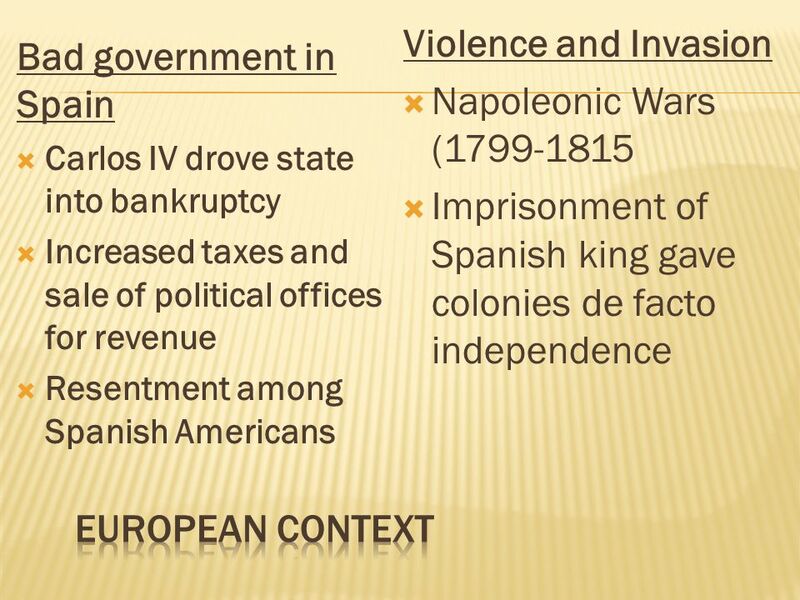 Agenda Bell Ringer: French Revolution and Congress of Vienna Review with Mr. T. Lecture: Independence in Latin America Part. 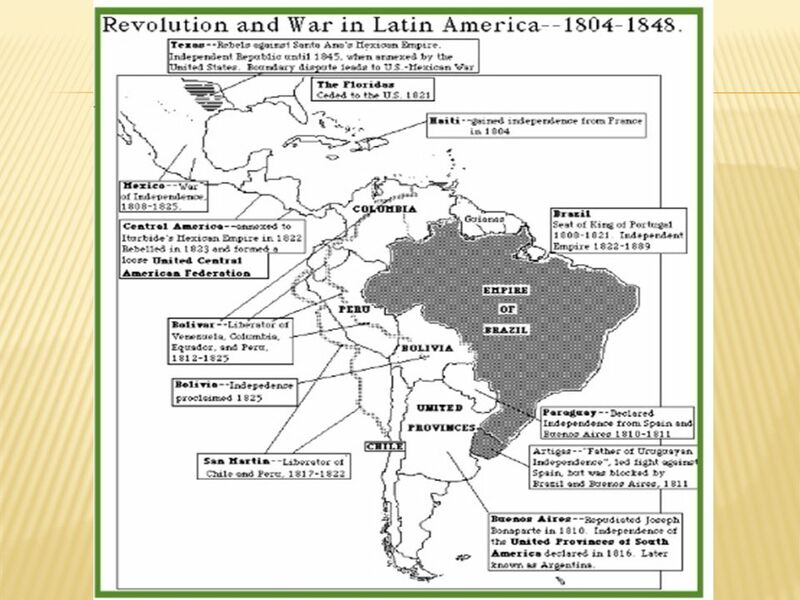 Revolutions Sweep Across Latin America Objective: I can explain connections among Enlightenment ideas and Latin American wars for independence. LATIN AMERICAN INDEPENCE MOVEMENTS ( ). 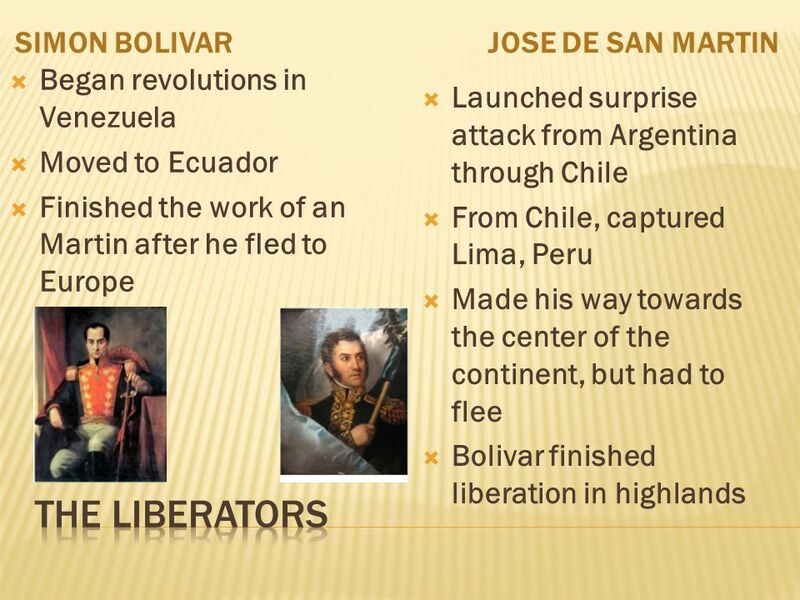  The liberation of Latin America started with the 1789 French Revolution.  The French Revolution involved. 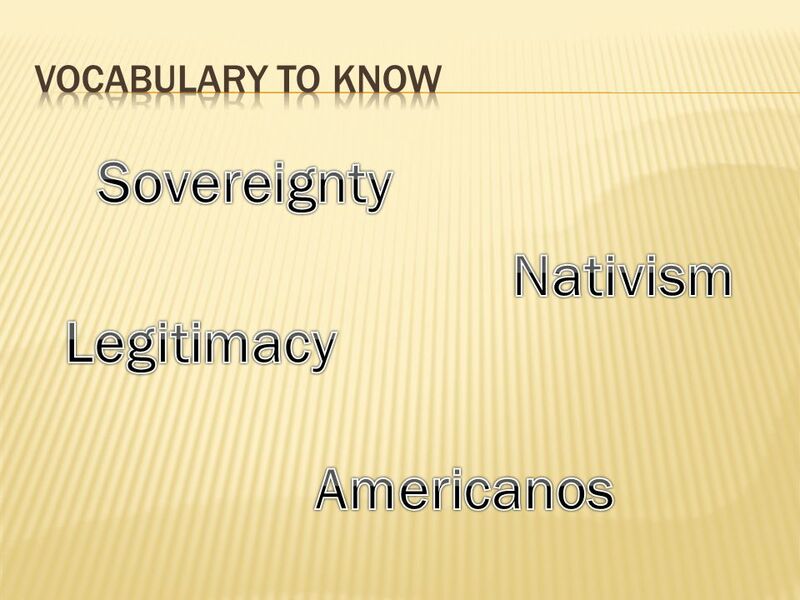 Chapter 24-Section 1 Latin American Peoples Win Independence Spurned by discontent and Enlightenment ideas, peoples in Latin America fight colonial rule. Bellringer Have out your study guide for the midterm with 1-27 completed and the Latin America Map! Using the map you completed for homework, answer the. H ISTORY OF L ATIN A MERICA. C OLONIZING L ATIN A MERICA Lasted for over four hundred years, from 1492 to 1898 Two motivations: 1. Trade 2. Spread of. 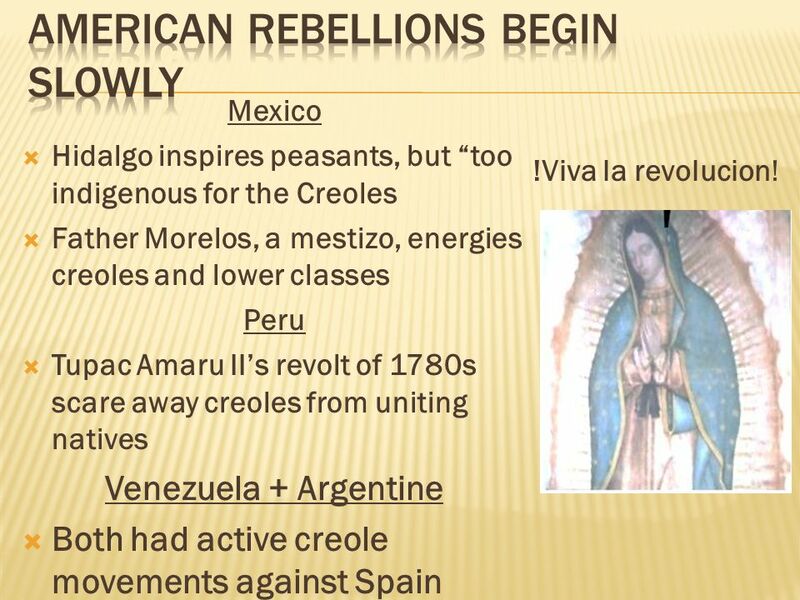 Unit 8 part 2 20-3 Revolts in Latin America. 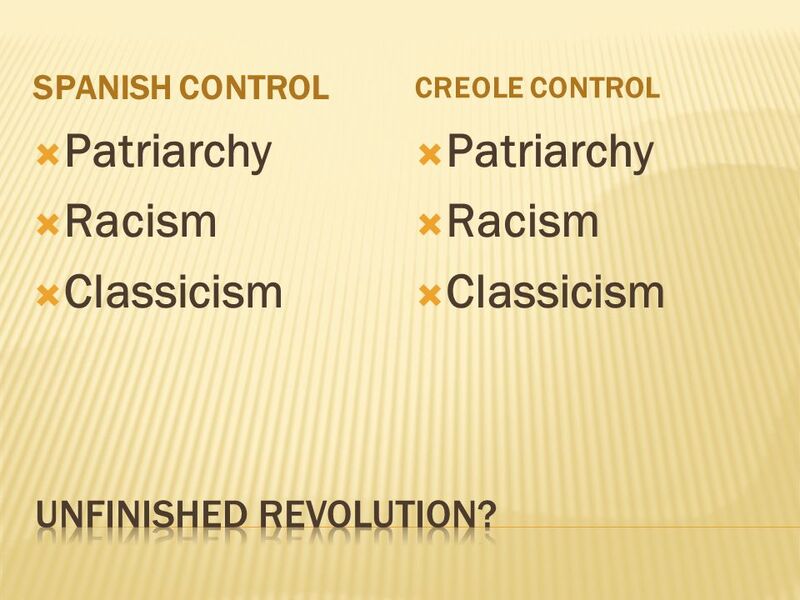 After 300 years of colonial rule, the revolutionary fever of Europe also gripped Latin Americans. Many groups.